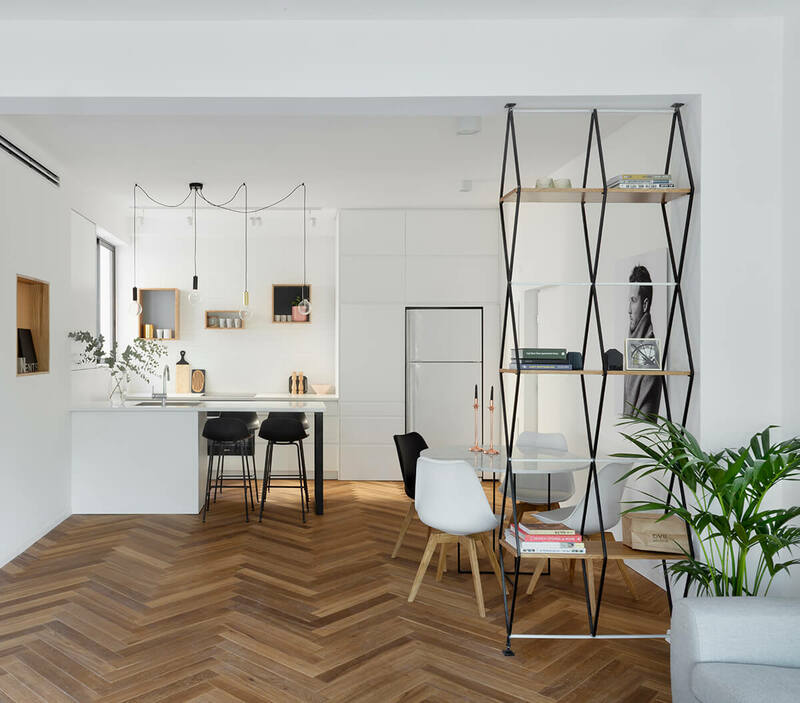 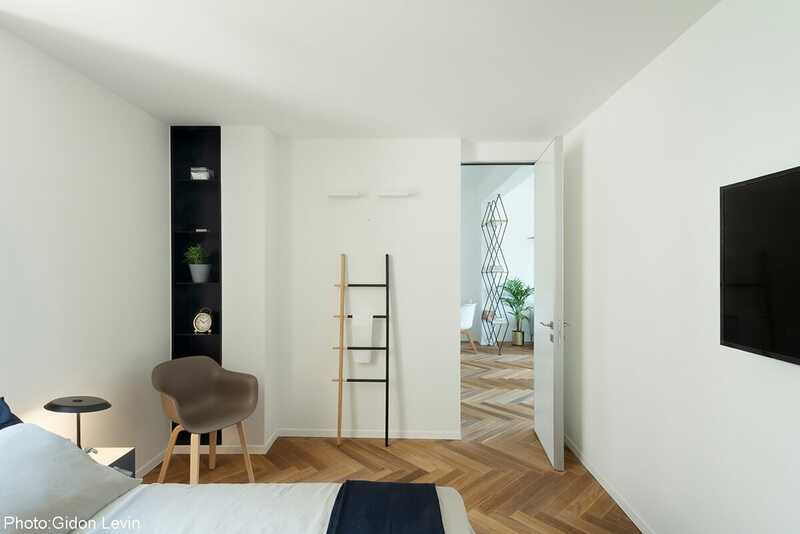 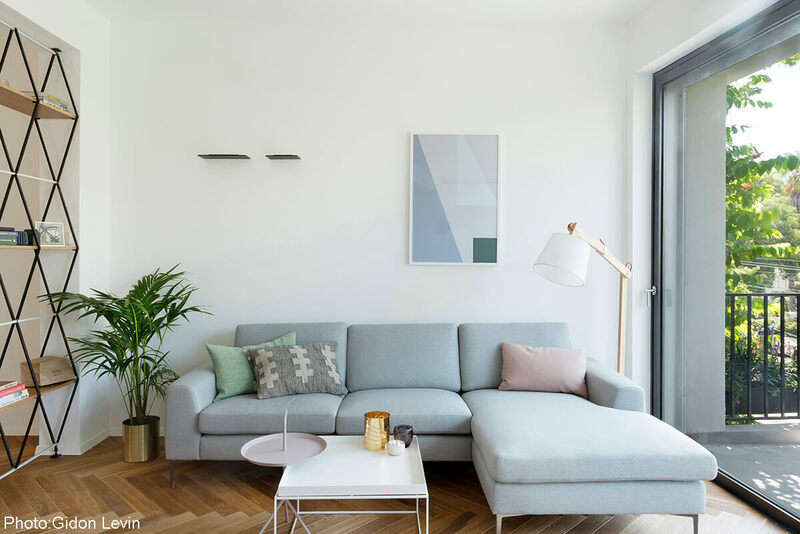 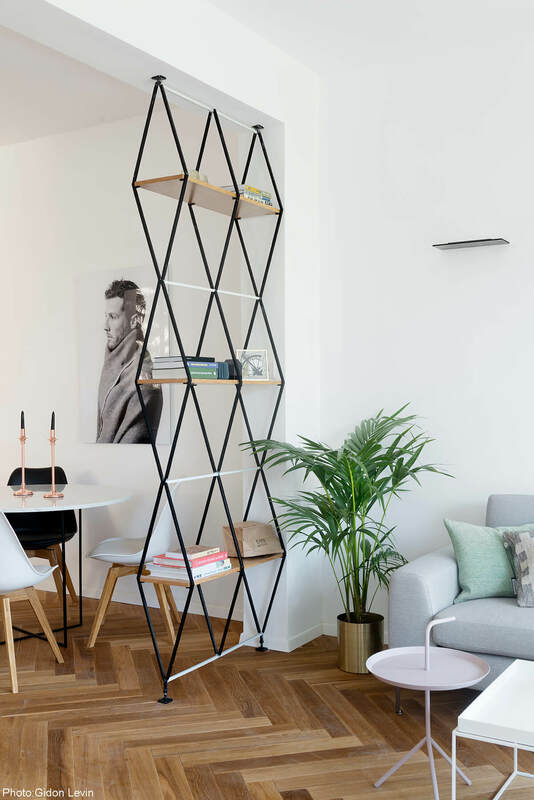 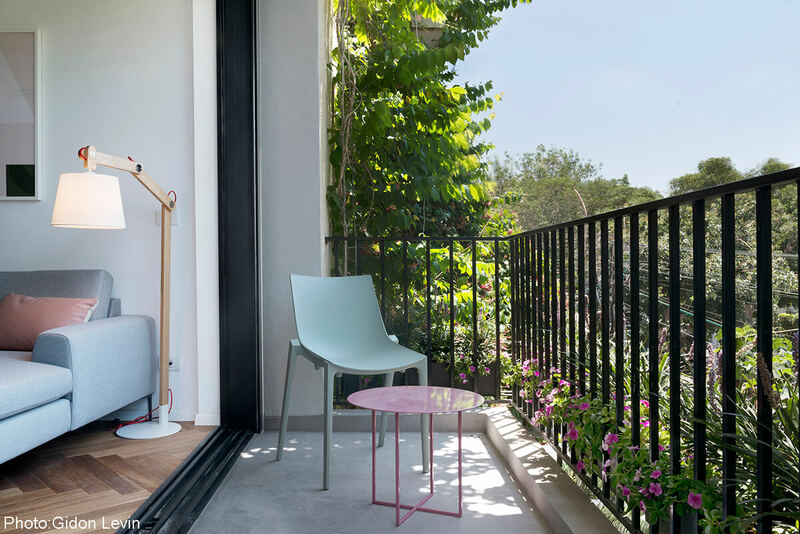 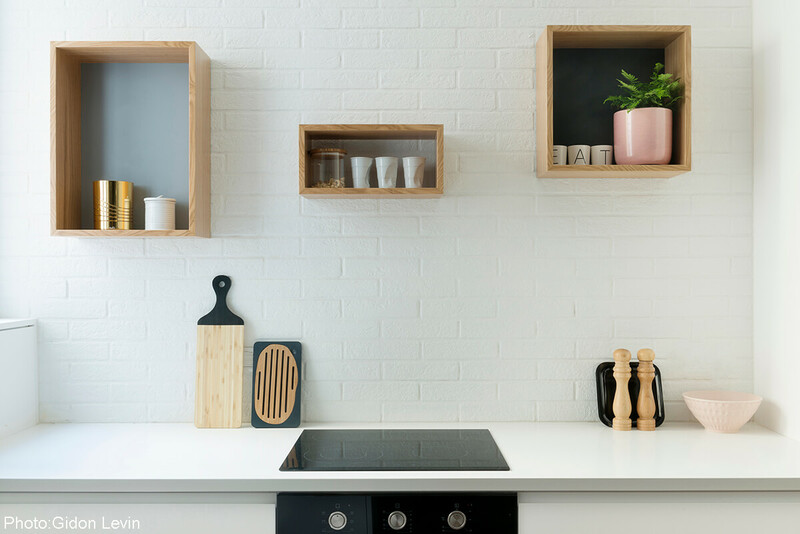 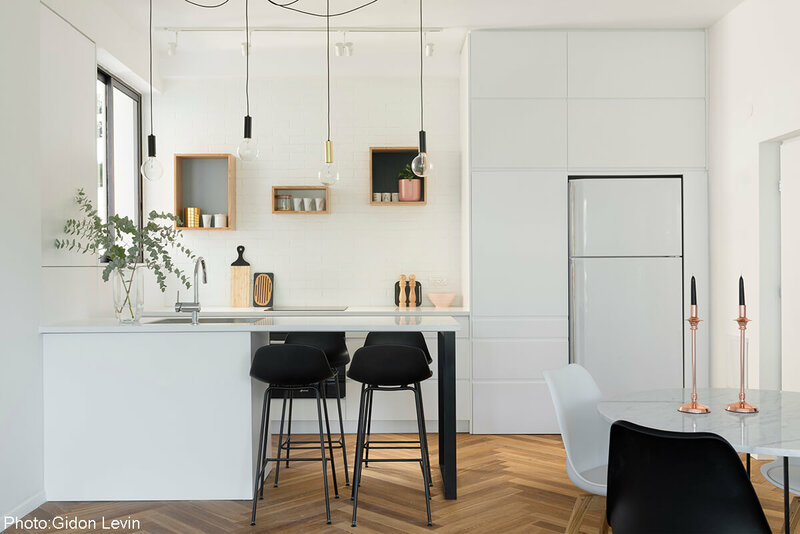 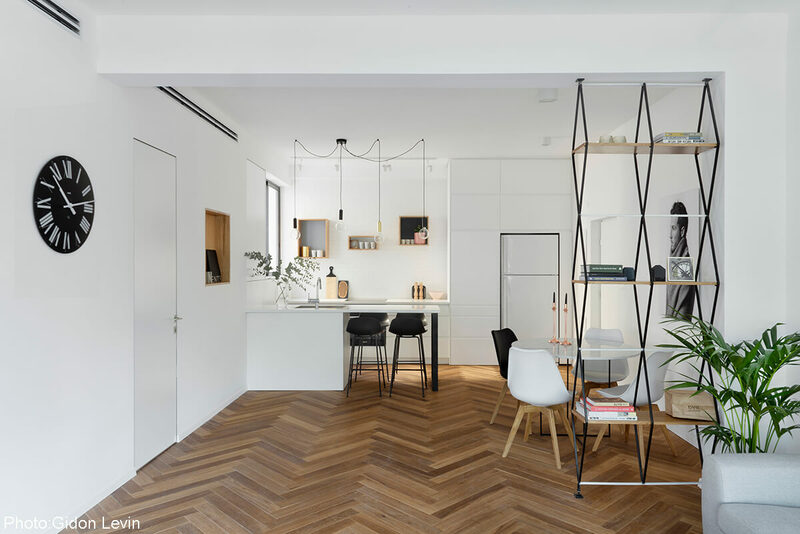 Planning and interior design of 85sqm apartment in a Tel Aviv. 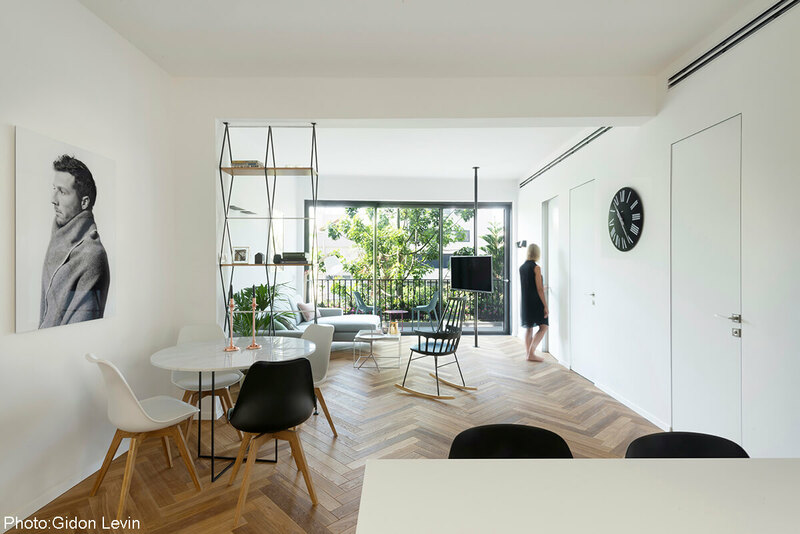 The apartment is situated just a few minutes walk from the beach in Tel Aviv. 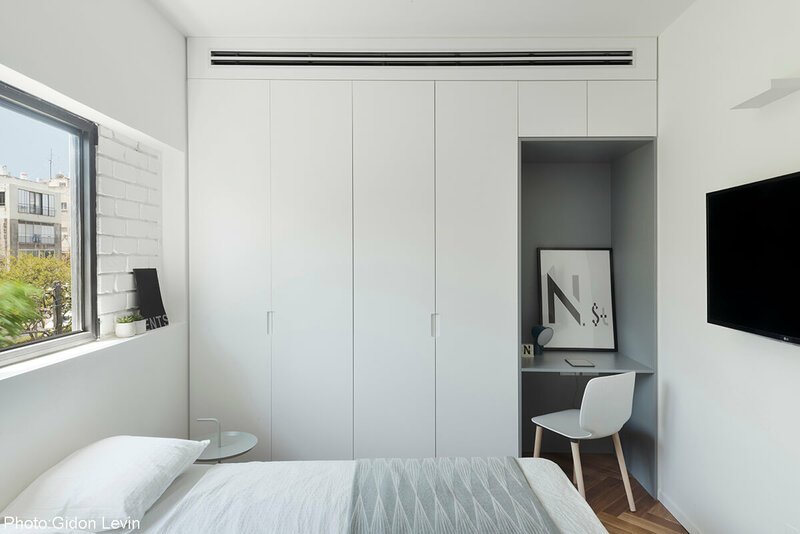 Towards the back of the 80-square-metre apartment are two bedrooms, each with a separate bathroom.